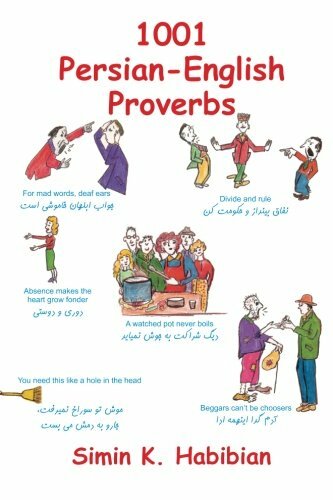 This third edition has collected 1001 of the most well-known Persian proverbs and has found the equivalent or similar of each in English. A literal translation of each proverb in English is included. In addition, 180 proverbs with illustrations have been included for the reader to guess at. An answer key in the back tells the reader which proverb each illustration represents. The book is suited for those learning Persian and for second generation Iranian-Americans who wish to further expand their understanding of their mother language and culture. The reader who does not read or speak Persian will also find it a pleasant read. It includes introductions by Shusha Guppy and Hadi Khorsandi.